Can I Play Lottario Online? Read Reviews! Lottario Exposed — Can You Purchase Tickets Online? Canada – the land of hockey and maple syrup (a gross oversimplification, but you get the point) also has something to offer to the world when it comes to lotteries. Lottario has been one of the most prominent picks there and it’s been around ever since 1978. Through the years, Lottario changed a bit and today, it brags bigger jackpots and more opportunities than ever before. The history of Lottario started back in 1978. This game has always been administered by the Ontario Lottery and Gaming Corporation (OLG). The very first drawing in the history of the game took place on November 18. 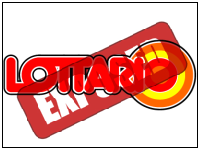 Lottario is the second game in the history of OLG. The first one is called Wintario and it was launched in 1975. During the very same year, Lontario produced the very first jackpot in the history of OLG. The amount totaled 6 million Canadian dollars. Lottario was launched as the first online lottery game in North America. In 2008, it celebrated its 30th anniversary, still being as popular as in the past. In 2015, the structure of the game was changed to enable jackpots to grow faster and to also increase the odds of winning some of the lower prize tiers. With a long history and well-established traditions, Lottario is anything but a scam. OLG is an Ontario-based governmental agency that was set up back in 1975. Ever since, OLG has been responsible for lottery games, sports games, casinos, slots and e-bingo games on both a local and national level. Today, OLG has a number of games in its portfolio. The original Lottario is still here. Wintario was discontinued in 1996 after it had awarded approximately 1.1 billion Canadian dollars in prizes. A few other games have been added to expand Canadian gaming opportunities – Lotto 6/49, Lotto Max and Ontario 49. There are also several daily lottery games that come with smaller prize pools. Since its inception, OLG has also been responsible for supporting charitable causes in Ontario. To present date, OLG has paid out almost 47 billion dollars to the province and to various Ontario causes. Lottario is pretty easy to play, but there are a few cute twists that provide participants with additional opportunities. For a chance to win the jackpot, players have to choose 6 numbers from a pool of 45. Every single Lottario drawing comes with a minimum guaranteed jackpot of 250,000 Canadian dollars. If there’s no winner for the respective drawing, the sum will roll over towards the next one. Lottario drawings take place every Saturday. Every ticket could potentially participate in two draws – the main one and the Early Bird draw. To be eligible for the Early Bird draw, tickets will need to be acquired before midnight on Friday. In 2015, the rules of the game were tweaked a bit to make it more attractive. Three additional new prizes were added – a 30-dollar, a 5-dollar and a free ticket prize tiers were created. The addition of the new prize tiers improved the overall odds of winning a prize from the previous 1 in 20.89 to 1 in 5.8. Another very important improvement is the rate at which the jackpot grows. Ever since the enhancement, Lottario has produced some pretty impressive top prizes. The odds of winning the Lottario jackpot are 1 in 4,072,530. The game doesn’t feature a rather impressive minimum guaranteed jackpot, but through rollovers, the top prize can become exciting. The biggest jackpot in the history of the game fell in 1992. A single ticket buyer became 3.6 million Canadian dollars richer in December. The second biggest jackpot in the history of the game fell in May 2017. The lucky ticket was bought in Peterborough on the day of the drawing and it resulted in a 3.28 million dollar jackpot. Here’s another curious fact for you – the biggest jackpot shared by the biggest number of players was 2.68 million Canadian dollars. Antonio Columbo worked out a system that enabled him to narrow the winning numerical combinations down to 640 (or that’s what he claims). Together with 20 other men, Columbo decided to test out the system. They did end up winning the jackpot and each man cashed out a cheque for 127,751 dollars. Other than the jackpot, Lottario has 7 additional prize tiers. The lowest one is a free ticket. People who match 3 out of 6 numbers can expect to win 4 dollars and the odds of that happening are 1 in 24.1. The second biggest prize after the jackpot is 10,000 dollars and the odds are 1 in 678,755. Participants in the Early Bird draw can expect to win an additional amount of 50,000 dollars if they manage to get the 4 early bird numbers correct. Players who win a Lottario prize will need to make a claim within one year from the date of the drawing. Prizes from 0 to 1,000 dollars can be claimed at any authorized retail venue, by mail, at select slots/casinos or at the OLG Prize Centre. Prizes of up to 250,000 dollars should be claimed either at a select casino or the OLG Prize Centre. Any sum that exceeds 250,000 dollars can be requested solely at the OLG Prize Centre. For prizes exceeding 1,000 dollars, players will be asked to fill out a Lottery Prize Claim Declaration Form. The form is available on the official Lottario website. Prizes are paid out in the form of a cheque. For groups and syndicates, individual cheques are issued to every single winning member. In Canada, lottery prizes are free from taxation. If you are an international player, however, you should be prepared to pay taxes on the basis of local regulations in your country of origin. Can You Buy Lottario Tickets Online? Lottario tickets can be bought throughout Canada and they’re also available through a couple of select online platforms. International players can choose an online lottery agent of preference for the purpose of acquiring Lottario tickets. The online agent will have local reps in Canada who will be responsible for buying tickets on behalf of clients. Bear in mind, you can’t play Lottario through approved lottery agents. Would you mind rating Lottario? That’s it, folks! Hopefully, the review has made it possible for you to assess Lottario accurately and to decide if it’s the right one for you. Even if you can’t make the decision, testing the lottery out isn’t that expensive. Who knows, Lottario may come to surprise you in the end. As a lotto forecaster myself, what makes Lottario a better game than Lotto 6/49 in my own opinion is that it has been around longer and so it has more drawings to analyze and strategize on. I’ve enjoyed several winnings using these methods.